Tired of running out of space on your office desk? Fed up with troubles to plug or unplug USB devices every single time? Worry no more! 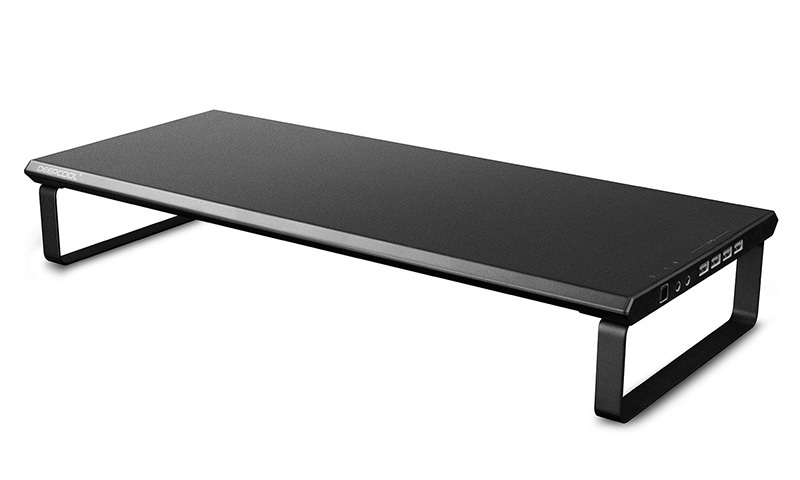 M-Desk F3,the sleek and sturdy monitor/laptop stand will save it all! 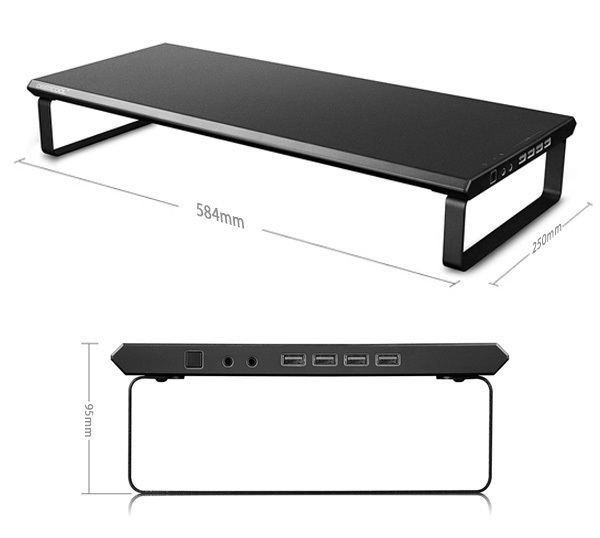 Just with one simple operation,the power button of your PC is transferred to the M-desk F3.Then you can just hide your PC tower, and enjoy the convenience and extra space. No more wire mess. No more difficult reaching. M-Desk F3 makes your access to USB and audio port seasier than ever. All the ports and button are designed to be luminant so you can plug/unplug easily while keeping enjoying the darkness. With finely processed surface and super solid material, the F3 stand is a both fashionable and reliable companion of your monitor, laptop or All-in-one computer. Provides better viewing position and additional storage space. Power button migration function that allows users to switch on/off the PC from the stand. USB and audio ports HUB function to save you from wire mess. Illuminant power button, USB and Audio ports. Sturdy top metal panel and metal frame legs that support up to 25KG.